If we look to Jesus Christ, He will help us live our covenants and magnify our calling as elders in Israel. Brethren, if we look unto Jesus Christ, He will bless us to be His elders in Israel—humble, meek, submissive, full of His love.24 And we will bring the joy and blessings of His gospel and His Church to our families and our brothers and sisters on both sides of the veil. Rivet is a great word. It means to fasten firmly, to attract and hold completely.26 We rivet our focus on Jesus Christ and His gospel by living our covenants. When we live our covenants, they influence everything we say and do. We live a covenant life27 full of simple, everyday acts of faith that focus us on Jesus Christ: prayer from the heart in His name, feasting on His word, turning to Him to repent of our sins, keeping His commandments, partaking of the sacrament and keeping His Sabbath holy, worshipping in His holy temple as often as we can, and exercising His holy priesthood to serve God’s children. These acts of devotion are available to all, young and old. You young men who hold the holy Aaronic Priesthood, everything I have said tonight applies to you. I thank God for you. 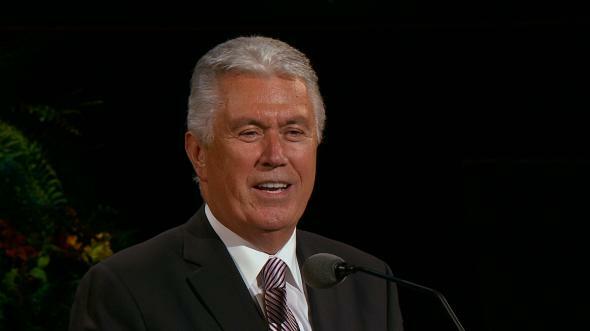 You make sacred ordinances and covenants available to millions of Latter-day Saints every week. 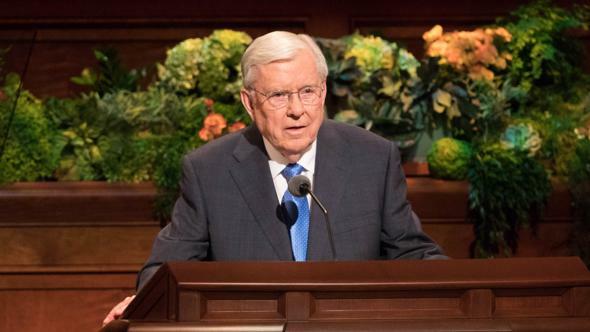 When you prepare, bless, or pass the sacrament; minister; baptize in the temple; invite a friend to an activity; or rescue a member of your quorum, you are doing the work of salvation. You too can look unto Jesus Christ and live your covenants every day. I promise you that if you do, you will be trusted servants of the Lord now and, in a coming day, mighty elders in Israel. Brethren, I know that all of this may sound daunting. But please remember these words of the Savior: “I am not alone, because the Father is with me.”31 So it is with us. We are not alone. The Lord Jesus Christ and our Heavenly Father love us, and They are with us.32 Because Jesus looked to His Father and completed the great atoning sacrifice, we can look to Jesus Christ with assurance that He will help us. None of us are perfect. Sometimes we get stuck. We get distracted or discouraged. We stumble. But if we look to Jesus Christ with a repentant heart, He will lift us up, cleanse us from sin, forgive us, and heal our hearts. He is patient and kind; His redeeming love never ends and never fails.33 He will help us live our covenants and magnify our calling as elders in Israel. Brethren, have we not cause to rejoice? We do! We hold the holy priesthood of God. As we look unto Jesus Christ, live our covenants, and rivet our focus on Him, we will join with our sisters and minister in a holier way, gather scattered Israel on both sides of the veil, strengthen and seal our families, and prepare the world for the Second Coming of the Lord Jesus Christ. It will happen. I so testify. I close with this prayer from my heart, that all of us, every one, will look unto Jesus Christ in every thought. Doubt not. Fear not. In the name of Jesus Christ, amen. James E. Talmage places Jesus in “the vicinity of Capernaum” when this healing occurred (see Jesus the Christ , 313). See Luke 8:43–44; see also Matthew 9:20–21; Mark 5:25–29. 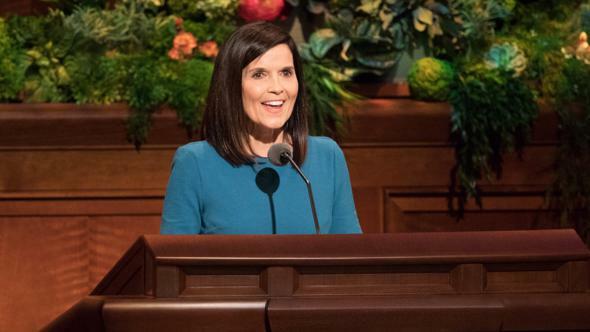 James E. Talmage wrote that of greater worth to the woman than the physical healing was the assurance that the Savior had granted the desire of her heart and that her faith was accepted of Him (see Jesus the Christ, 318). Jesus healed her physically and spiritually and opened to her the way to salvation. It is instructive that Jairus, a ruler of the synagogue, was with Jesus when this healing occurred. Jesus was on the way to the house of Jairus, where He would raise Jairus’s daughter from the dead. The woman that Jesus healed had likely been cast out of the synagogue because of her affliction. When Jesus healed her, He also made clear to all who were there, including Jairus, that she was a beloved daughter, a woman of faith, and whole in body and spirit. 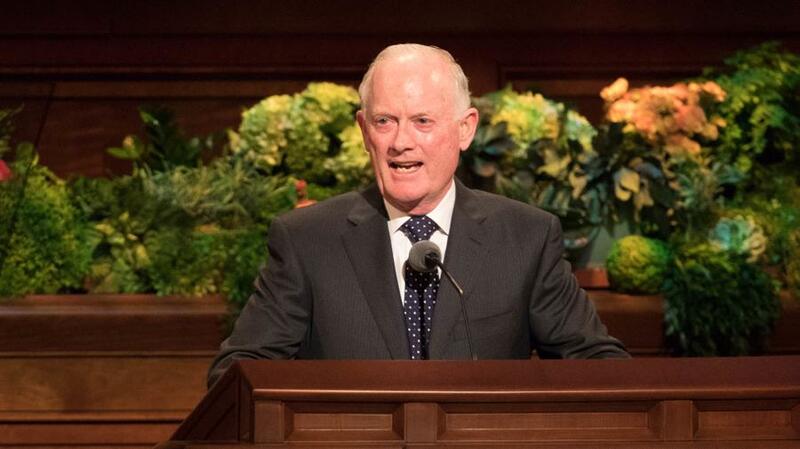 See D. Todd Christofferson, “The Elders Quorum” ( Ensign or Liahona, May 2018, 55–58) for a discussion of the adjustments to create one Melchizedek Priesthood quorum in a ward. 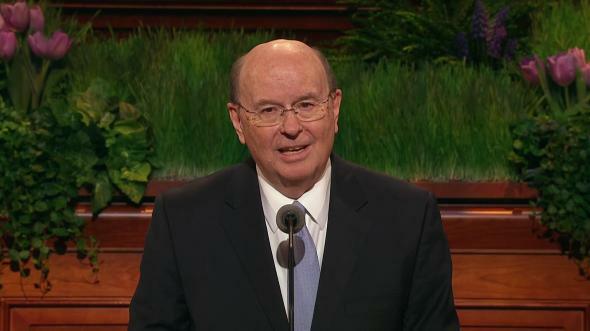 The purpose of that change was described this way in the Frequently Asked Questions section of the Ministering website: “Having one Melchizedek Priesthood quorum in a ward unifies priesthood holders to accomplish all aspects of the work of salvation, including temple and family history work previously coordinated by the high priests group leader” (“This Is Ministering: Frequently Asked Questions,” question 8, ministering.ChurchofJesusChrist.org). 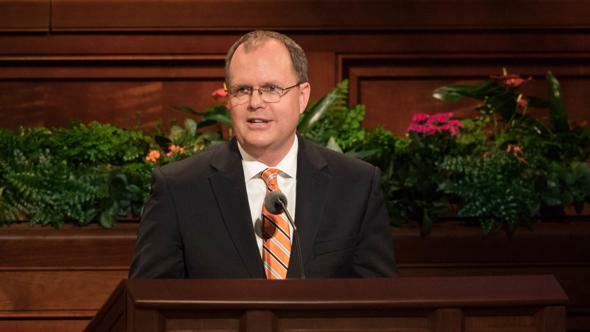 Subsequent adjustments have placed the ward mission leader and the new temple and family history leader in the ward under the direction of the presidency of the elders quorum. 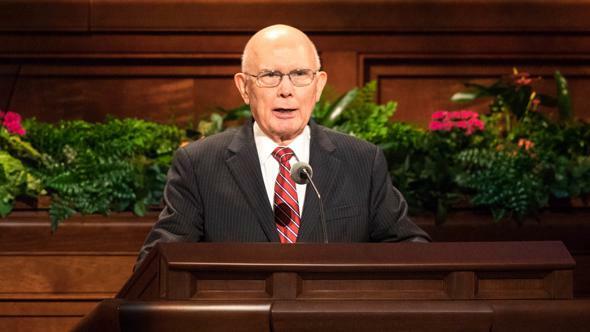 With ministering to families already under the presidency’s direction, these adjustments have placed leadership of the work of salvation in the elders quorums, assisted by Relief Societies. 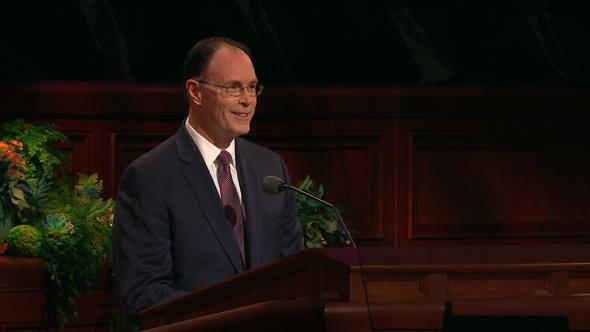 Of course, the bishop holds the keys to the work of salvation in the ward, but he delegates responsibility and authority for that work to the elders quorum president so that the bishop can spend more time ministering to his own family, strengthening the youth, and serving as a judge in Israel. 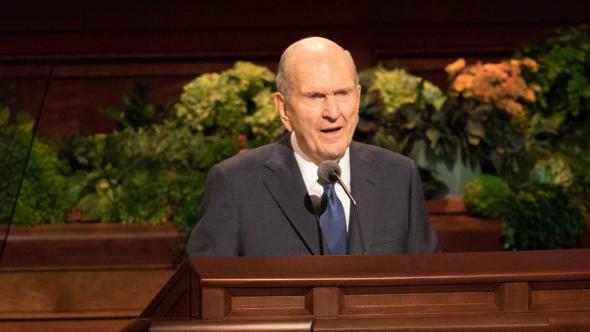 See Russell M. Nelson, “Let Us All Press On,” Ensign or Liahona, May 2018, 118–19; Russell M. Nelson, “Becoming Exemplary Latter-day Saints,” Ensign or Liahona, Nov. 2018, 113–14; Quentin L. Cook, “Deep and Lasting Conversion to Heavenly Father and the Lord Jesus Christ,” Ensign or Liahona, Nov. 2018, 8–12. The Father sent Jesus Christ into the world (see John 17:18). 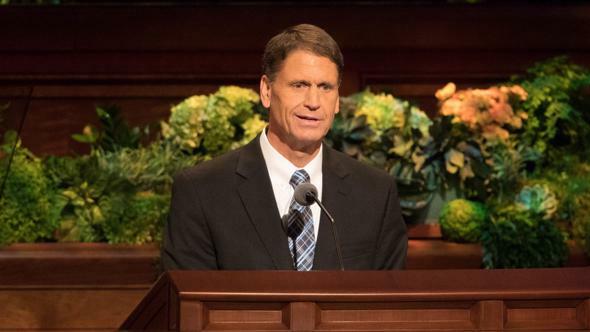 There are numerous references in the scriptures that record statements Jesus made about doing His Father’s work and teaching His Father’s doctrine. See, for example, John 5:19 (Jesus does what He sees the Father do); John 5:36 (the Father gave His Son work to do); John 8:26 (Jesus taught what He had received from His Father); John 14:28 (Jesus declared, “My Father is greater than I”); 3 Nephi 11:32 (His doctrine is the doctrine His Father gave Him). John 6:38; see also John 5:30. The word look in this passage (see Doctrine and Covenants 6:36–37) has meanings that correspond to the call of the Lord: to face (or turn to); to direct one’s attention to; to rely upon; to search for; to await with hope; to have in mind as an end; to expect or anticipate (see merriam-webster.com, “look”). See Doctrine and Covenants 121:41–42. The Christlike attributes mentioned in the scripture are gifts of the Spirit that come through the mercy and grace of Jesus Christ. They are what make the elders in Israel His elders. Russell M. Nelson, “Drawing the Power of Jesus Christ into Our Lives,” Ensign or Liahona, May 2017, 41. For a discussion of the concept of a covenant life, see Donald L. Hallstrom, “Living a Covenant Life,” Ensign, June 2013, 46–49. This article was adapted from a longer talk given at Brigham Young University–Idaho in May 2011. 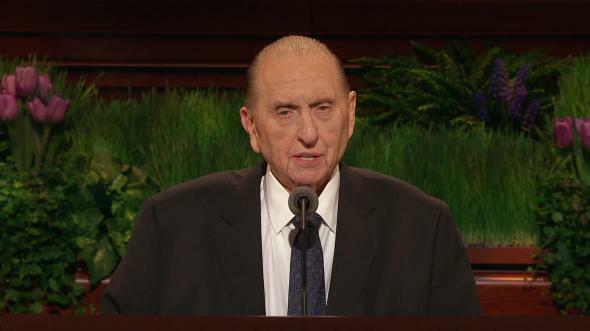 For the longer version, see Donald L. Hallstrom, “A Covenant Life” (Brigham Young University–Idaho devotional, May 10, 2011), byui.edu. See Jeremiah 31:31–33, where the Lord declares that He will make a new covenant with the house of Israel written in their hearts. This image of covenants written in our hearts, or covenants that come alive in our hearts, is also found in the writings of Paul (see 2 Corinthians 3:3; Hebrews 8:10). 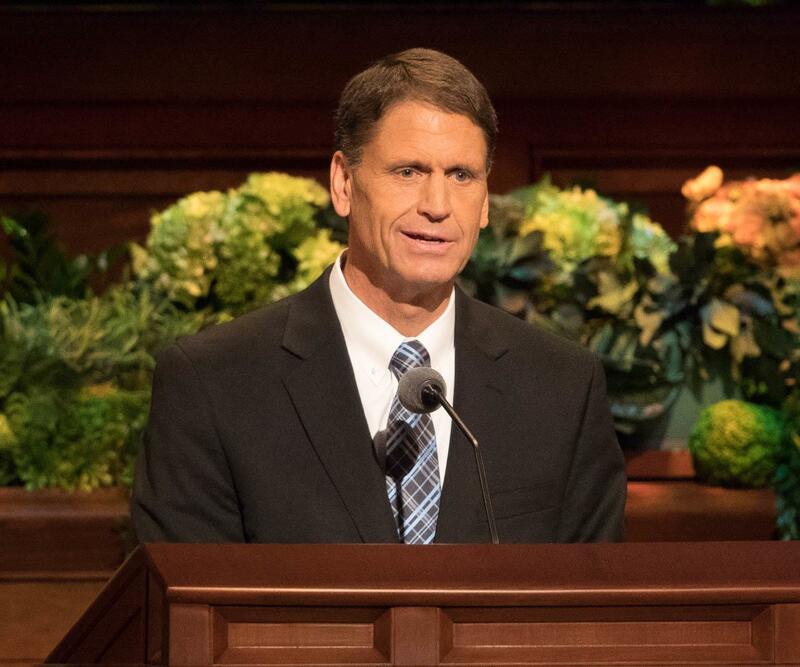 For a discussion of conversion and the heart, see David A. Bednar, “Converted unto the Lord,” Ensign or Liahona, Nov. 2012, 106–9. The sacramental prayer on the bread expresses beautifully the nature of our covenant relationship with our Heavenly Father. In the Father’s plan of salvation, we make covenants with our Heavenly Father, but the purposes of the covenants are realized and we qualify for the blessings promised through the Lord Jesus Christ; He is the Mediator. In the sacramental ordinance, we witness to the Father (in effect, making a covenant with Him anew) that we are willing to take upon ourselves the name of Jesus Christ, always remember Him, and keep His commandments, that we might always have His Spirit (the Holy Ghost) to be with us. The gifts in the Father’s promises come through the redeeming and strengthening power of Jesus Christ. 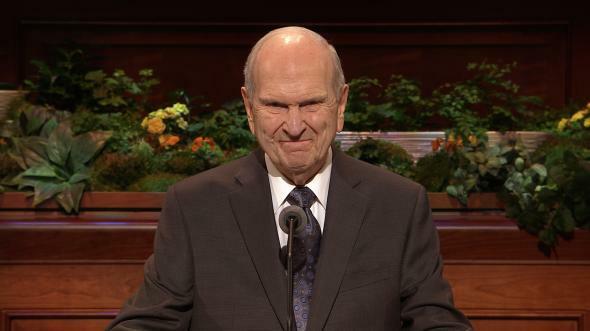 For example, as President Russell M. Nelson has taught, Jesus Christ “is the source of all joy” (see “Joy and Spiritual Survival,” Ensign or Liahona, Nov. 2016, 82). Thus, riveting our focus on Jesus Christ brings joy into our lives no matter our circumstances. President Ezra Taft Benson captured the impact of this change in attitude and orientation when he said, “When obedience ceases to be an irritant and becomes our quest, in that moment God will endow us with power” (in Donald L. Staheli, “Obedience—Life’s Great Challenge,” Ensign, May 1998, 82). For additional discussion of the fact of the Father’s and the Son’s concern for, interest in, love for, and involvement in our lives, see Jeffrey R. Holland, “The Grandeur of God,” Ensign or Liahona, Nov. 2003, 70–73; Henry B. Eyring, “Walk with Me,” Ensign or Liahona, May 2017, 82–85. See also Matthew 18:20; 28:20; Doctrine and Covenants 6:32; 29:5; 38:7; 61:36; 84:88. See Romans 8:35–39; 1 Corinthians 13:1–8; Moroni 7:46–47. “The same is appointed to be the greatest, notwithstanding he is the least and the servant of all. “And if ye are purified and cleansed from all sin, ye shall ask whatsoever you will in the name of Jesus and it shall be done” (Doctrine and Covenants 50:26–29). See 1 Samuel 16:7; 1 Corinthians 2:14. 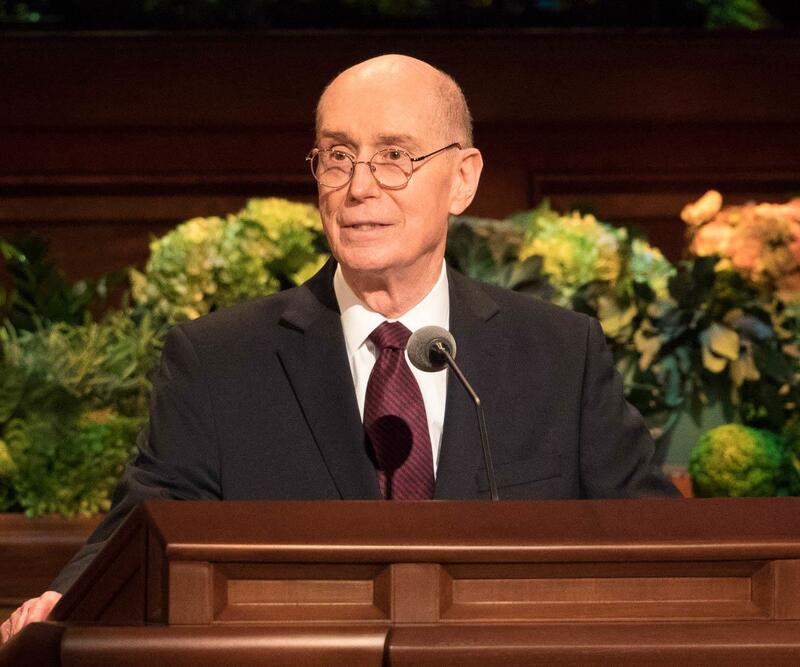 For an example of this blessing of seeing as Jesus does, see President Henry B. Eyring’s account of his experience as the bishop of a young man who had committed a crime. The Lord said to then-Bishop Eyring, “I’m going to let you see him as I see him” (“Walk with Me,” 84). 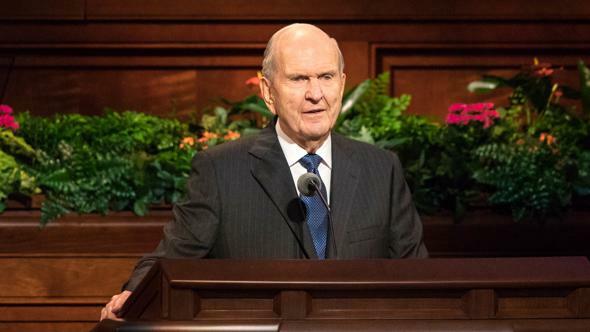 See Russell M. Nelson, “The Price of Priesthood Power,” Ensign or Liahona, May 2016, 68. See Doctrine and Covenants 84:88.